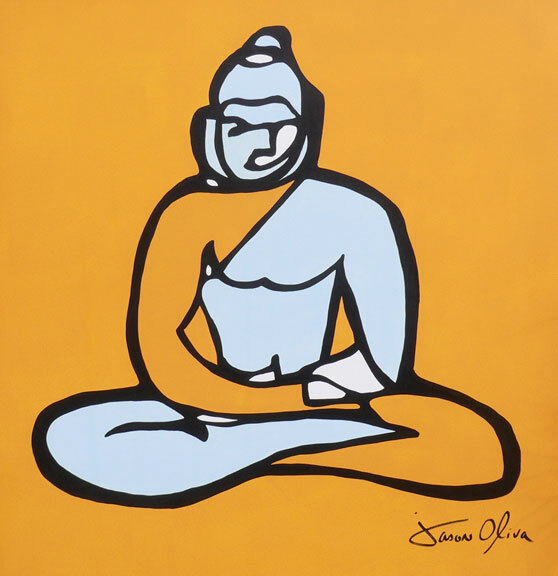 My painting, Buddha, generated substantial interest when I posted it on my website and so it was this image that I used for my first jewelry piece. 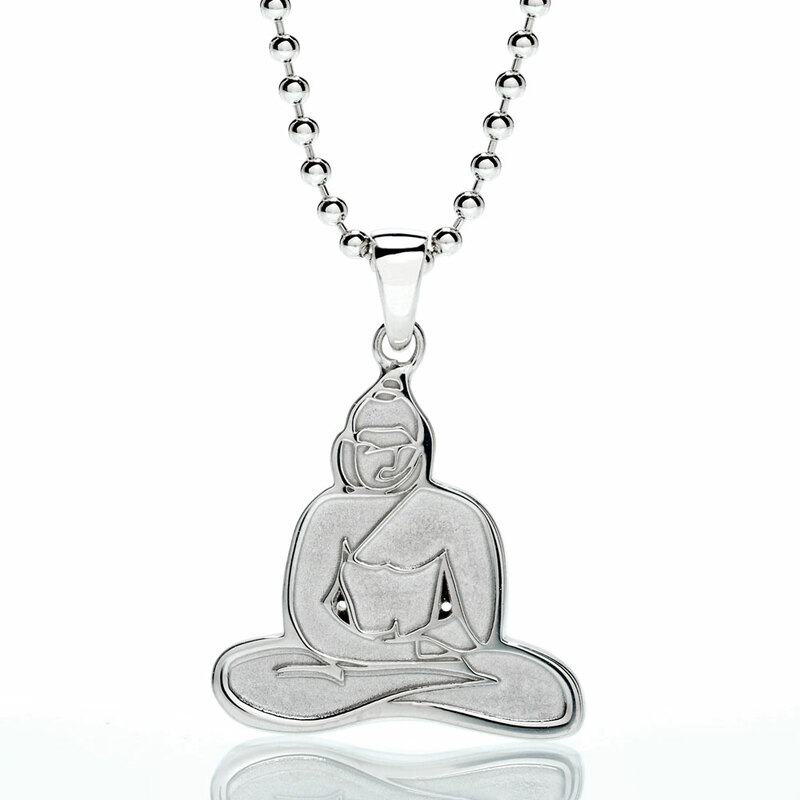 I decided upon a sterling silver, square Framed pendant necklace rendition of Buddha, that used the exact same line work as the original painting. I then thought it might be interesting to free the image from its frame and create a stand alone, Cut-Out version of the painting’s image, also in the form of a pendant. 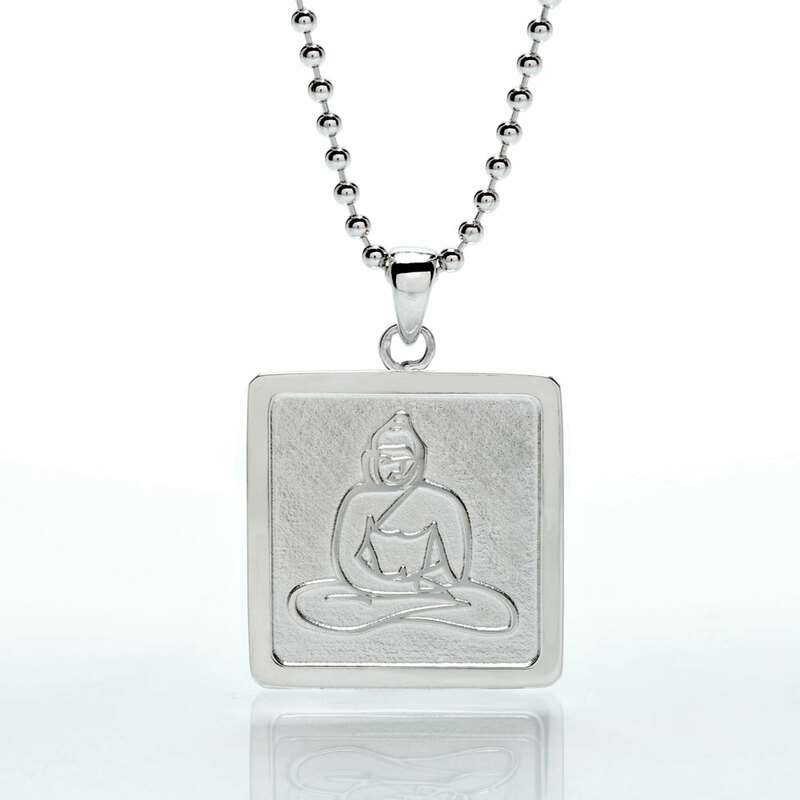 As a finishing touch, I wanted to create a unique box to present the Buddha pendant necklace in. 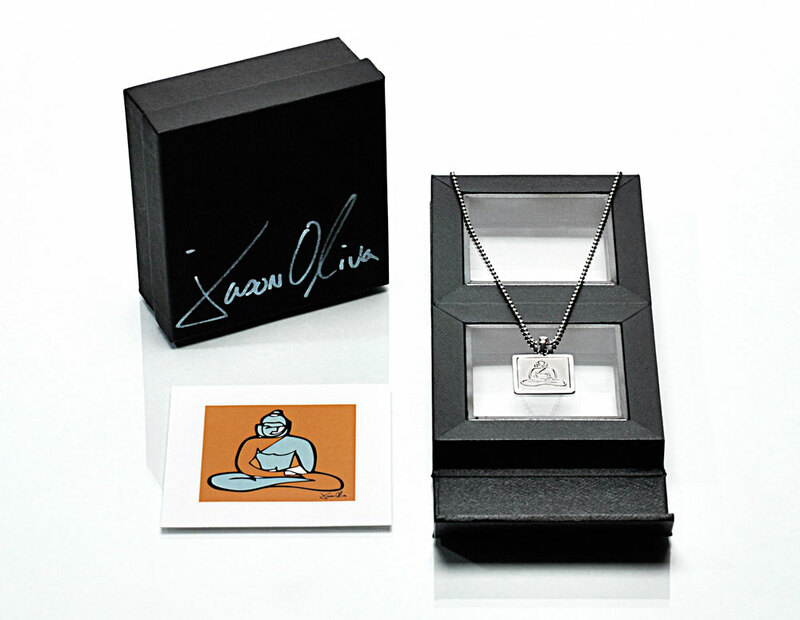 I was able to source packaging for the jewelry that would allow it to be displayed while doubling as a picture frame to hold a miniature, signed print of the original Buddha painting. Alongside Buddha, Jason Oliva [Jewelry] offers Framed and Cut-Out Pendants in Sterling Silver, Rose, Black Rhodium and 18k White Gold in the following designs: Astronaut, Dragon, Lion, Gorilla, Dragonfly, Octopus, Rose and Stripey Horse. All inquiries please contact Jason Oliva at JasonOliva@gmail.com. 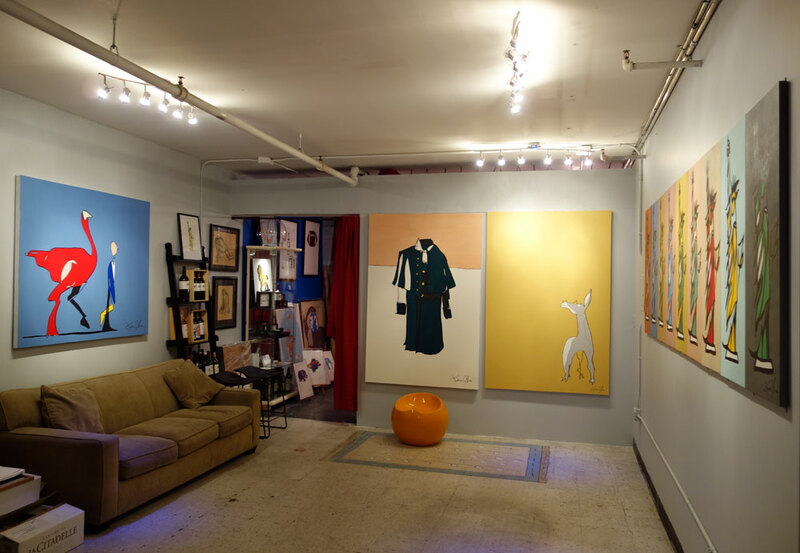 If you would like to view the Jason Oliva [Jewelry] pieces listed above or any of my other art work, you can visit me at my studio in Tribeca at New York Vintners, where I also maintain a gallery. Please feel free to just stop by or email me at jasonoliva@gmail.com. Every Thursday from 5.00pm onward I also operate an OPEN STUDIO. All are welcome. There will be wine!